The Amazon Associates Affiliate Program is one of the world's largest affiliate marketing programs, due to Amazon selling just about every kind of product available in the marketplace. Many companies use Amazon.com as an introduction to new customers, then invite them later to browse their own websites for more products or services. 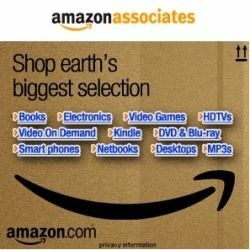 The Amazon Associates Affiliate Program is a well developed, easy to use, affiliate marketing program that can be used on Squidoo lenses, blogs, and website pages to promote products related to your niche topic for free, and you can earn between 4% and 8.5% commission on sales depending on your volume of sales referrals. Amazon Associates links are easy to insert in your articles, and if you follow the strategy that I will outline in this article, I guarantee that you will build success with Amazon's affiliate program. This book is available on Kindle for just $2.99 or if you are a prime member can be borrowed on Kindle for free. 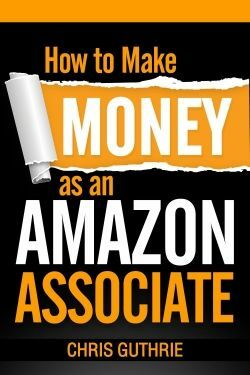 It gives step by step tips on how to make money on Amazon as an associate. It makes an excellent reference to have on hand while you are learning. 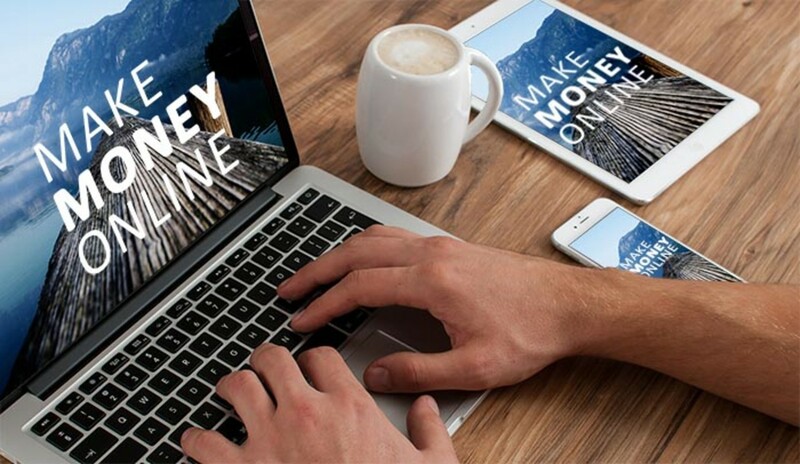 Becoming a successful affiliate marketer has a learning curve just like any new skill. Once you understand how the system works, you can apply your own expertise in your niche to develop a following of customers. How Do You Earn Money with Amazon Associates? When you first read how to make money with Amazon Associates, you may be confused with how the program works. So let me break it down for you here. There are essentially two ways to increase your earnings on Amazon, with a higher quantity of sales, and with higher dollar amount sales. With Amazon Associates, you earn a higher percentage when you have more sales. Payments and earnings are calculated on what ships out, not what is ordered, so you will show the earnings when an item actually ships from Amazon. Percentages (shown to the right) are based on how many items ship. There are a few exceptions to this rule. Some categories have a lower profit margin, and therefore have a lower percentage, and others have a higher percentage, usually when Amazon is trying to market them more. These do change from time to time, and you can keep abreast of changes in your Amazon Associates account. The second way you make more money is to sell a higher dollar amount item. So for instance, if you are making 4%, if you sell a $10 item, you will get $ .40, but a $100 item will net you $ 4.00. However, it is less likely that people will buy as many high dollar items as they would low dollar items. While Amazon.com became originally know as a source for books, they sell a lot, lot more than that now. You could name almost anything, and find it on Amazon. When I am searching for items to buy, I often use Amazon as a reference for pricing and manufacturers. As an Amazon Associate, you can usually earn more on sales on items that are not books. Some of the newest items that you can refer people to on Amazon are digital. These include music and movies than can be downloaded or watched directly on the site. 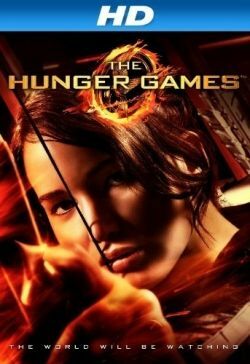 For instance, this link takes you to The Hunger Games [HD] that can be watched on Amazon Instant Video. This movie is free for prime members to watch online. Amazon Associates provides the affiliate marketer with a lot of wonderful ads, widgets, and links. But I have to admit that I find that I get the most success on all of my sites with two kinds of links only. These are direct product text links, and direct product text and picture links. A direct product text link is a link that is just words directing the customer to a specific product page. You attach your html link to your anchor text which lead to an Amazon product page. Amazon's product pages are very nicely laid out, and include a lot of product information, product reviews, and a direct link to the shopping cart. Once the customer sees that product page they can learn all they need to about the product. A direct product text and picture link is a direct product text link with a direct product picture link near it. In other words both the picture and the text are links to the product page. You can use both of these types of links on Squidoo as well as most other sites. As far as I am concerned, most of the widgets and banner ads look pretty, but don't produce well for me. Affiliate marketing is a term that many people have not heard before. What it really means is that you make a small percentage or commission off of referring people to products or services. It is different than direct sales because it is done online, and you do not have to present anything to a group of people. Becoming an Amazon Associate is becoming an affiliate marketer. You refer people to items on Amazon, and when they buy them, you earn a referral fee or commission. It is ideal for people who do not want to make or grow anything, but do like to refer people to items that they themselves like. You don't have to bother with the buying, billing or shipping. You just refer, and leave the rest up to Amazon. The biggest trick to earning more and more money with Amazon Associates is to alternate your sales strategy between two different game plans. Plan One: Refer customers to Amazon to buy a lot of very inexpensive items. This will build your number of sales. Plan Two: Refer customers to Amazon to buy a few select expensive or high end items. Remember, often Amazon has the best prices on those items. This will build your total earnings dollar amount faster. Pictured here is an actual Amazon Associates statistics chart. It shows how many items have shipped, how many have been ordered, and what the associate has earned so far during the month. You can get details for every click that someone makes both for what they buy and what they click on and don't buy. These types of statistics can help you refine your website offerings based on what people actually are interested in. Notice you can also see how many items this associate needs to ship in order to reach the next percentage tier, and what their conversion rate is between clicks and sales. 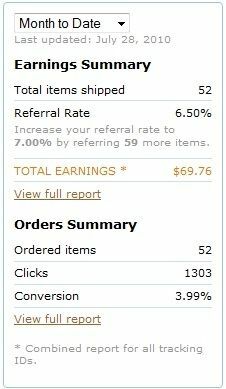 All of the detailed statistics can be found in your Amazon Associates account. While the plan itself is simple, it does take a lot of hard work, because as I mentioned earlier, the best producing links are product links. And that means that you need to create referral pages, posts, or lenses for each item or group of items that you refer. The more expensive the item, the better your referral page needs to be, in order for people to trust your recommendations. Squidoo is an excellent platform to learn how to do simple product reviews for Amazon items. If you don't already have your own Amazon Associates account, you can cut your teeth on the Squidoo Amazon modules. If you do have an Amazon Associates account, you can directly refer customers to Amazon, using your Amazon Associates product links in any text module. If you want to refer a customer to Amazon or to any other site, the easiest way is with original content product reviews. Hubpages is an excellent site to start on, and when you are ready, you can graduate to creating entire blogs and websites around product reviews. With your own site you have total control over the layout and ad placement of the entire page. You can learn to do this on your own for free, or you can pay for products and software to help you set this up more quickly. There really is no secret formula to writing product reviews or sending readers to Amazon. If you write in your own voice as if you are talking to a friend, then you will get the best results. Amazon sells everything. Well, almost everything. There are a few categories or companies that they don't carry. But they do carry quite a bit. As you can see below, Amazon sells everything from kayaks to infant toys. I usually do a search in the All Products category before I narrow it down. Often you will find stuff that you did not expect to under All Products. There are loads of fun toys on Amazon for kids and adults along with any accessories you might need to add on to them. Amazon sells kayaks and lots of other cool sporting equipment and accessories. Amazon sells lots of wedding accessories, clothing and more. Why Do Product Reviews Work to Refer Customers to Amazon? Product reviews, written correctly, with a tight focus, keyword research, search engine optimization, and original content are the best way to refer customers to Amazon and other product or service websites. The reason is that people want to know what other people have to say about products that they have used, what their opinion is, how much they liked the product, and whether they thought it was worth the money. When writing reviews, it is also a good idea to include anything about the product that you didn't like. You may say that this product is good for a beginner swimmer, but would not hold up to a professional. And then you can refer the customer to a better product for that person. People like to feel that they are making a decision based on their own experience and other people's experiences. You should write your reviews to help them think through the buying decisions, and if the product is right for them, then they will buy. And you will get a commission for referring them. You can learn how to do everything you need to do to earn money through Amazon Associates completely for free, and start making money from your referrals. But it will take you time, and you will have to put in a lot of sweat equity. Or you can pay some money to buy books and ebooks on this topic and learn faster. Whichever route you choose, there is a lot of money to be made from Amazon Associates, both here on Squidoo, and on your own websites. And when you get good at earning from Amazon, you can turn to other affiliate marketing programs and earn from them too. Are You New to Amazon Associates? How long have you been using Amazon Associates? Search engines have become more and more adept at finding and eliminating spam. Two of the types of spam that they are removing directly relate to Amazon Associates. This has to do with Amazon.com's website. Amazon has cracked down very hard on items with fake reviews. This behavior was becoming rampant especially in the Kindle book category, where authors would write under a pseudonym and write reviews of their own work under a different name. This is just a way to deceive and spam customers which is why Amazon is cracking down on it. And in addition, it made Amazon look bad to search engines. Therefore, when referring people to a product, make sure that you are not trying to deceive them. This is a bad practice and will just cause a loss of your Associates account if discovered. Google has made it clear in the last two years that they do not consider thin content to be good content, and they are slowly downgrading or eliminating any site that relies solely on thin content. Thin content means basically that all the page or site has is a bunch of links to another site. Therefore, when you are using Squidoo or your own site to refer readers, you want to ensure that you create more than just a thin content page. Add pictures, commentary, reviews, and your experience and opinion of the item that you are linking to. This gives your readers more value, and will keep your page higher in the search engine where it can be found. Google is still refining their algorithm as interests change on the Internet. As mobile devices increase in growth, their influence is being added to what is factored in. If you own a mobile device and search, you will now see mobile-friendly in the front of any site that is mobile-friendly and they are listed first. What is Your Amazon Associates Experience? I'm trying to do this. Not getting any luck quite yet. I'm reviewing just random products online. This really helps me though so I appreciate all your time spent on this! Good article and thank you for contributing. As I understand your Associates account can be closed due to lack of sales activity after 90 days...You may reapply for a new account (this happened to me) so I realize I need to figure out how to get the ball rolling. @Brite Change is constant, and if you don't pay attention, you will get left behind. Thanks Paula, good read for those who need some guidance, I'm sure they'll find it helpful. Personally, I've done well with Amazon but like you said here, it's important to stay on top of the changes taking place on the internet regarding search and social marketing. @malapapachan: Sorry to hear that. It took me a while to get started but over time it has built up nicely. Just to let you know, I've tried Amazon Associates and despite my best efforts with marketing, quality website, seo, I found it extremely difficult. It was a lot of work for a poor reward, it was heartbreaking. That's what I found, perhaps others may have had a different experience. You have some good tips for starters, well done! I am trying my best and trying other affiliate programs too. Great info packed lens! @leonvd: Hi, I don't always buy the product but I do write about products that I am familiar with. Great article, just one question: when you write a review do you buy the product or do you base your revieuw on other peoples reviews? I love Amazon Associates. I'm not getting rich with it, but every little bit helps. I really enjoyed your article and i found it very useful. 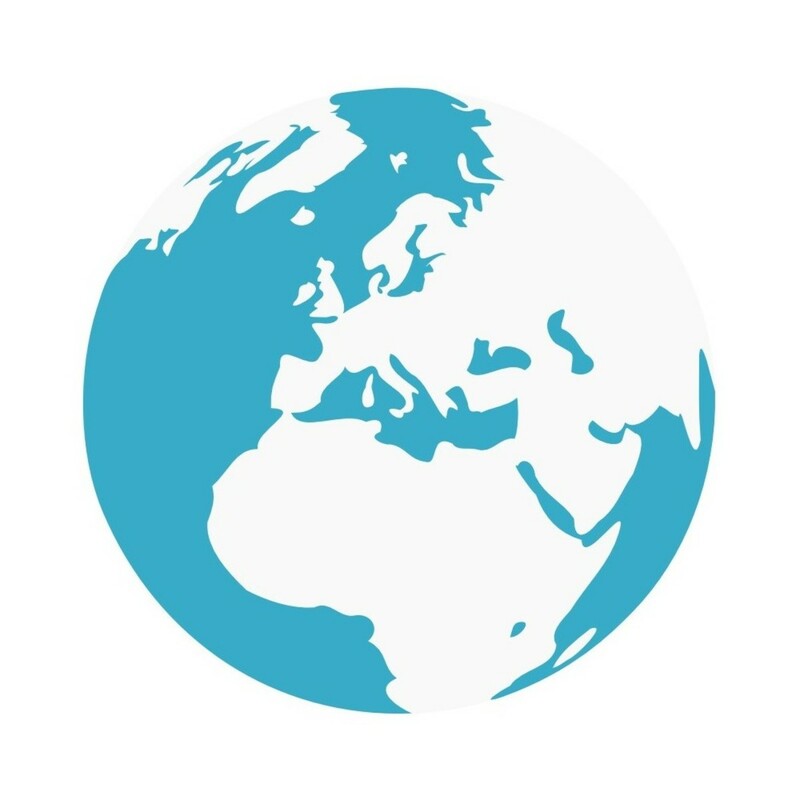 I just started my work with Amazon UK, (i am from Poland and we don't have them here yet, hopefully it won't be a reason of my failure, if i will). I am very new to all of this and hope that I can figure out what an anchor text is and how to attach it to that other thingamajiggie. I understand the concept but not the link jargon. Thank you for posting this lens. It is very useful. @tonyleather: What do you write about? I have absolutely NO experience of any movement with it, even after two years and I never earned one penny! @Satheeshonward: Not in the Amazon modules, only in text. At this time it is allowed. But it still contributes towards your total 20 links. Been affiliates for a while but have made less than 20 sales in several years. 3 at Zujava 6 with my own id and I believe 7 with Squidoo. I really need to get into this. Thanks for the reminder. Its Great Articles about amazon and very useful. Great article and really useful ideas for getting the most out of amazon referrals. Thanks for making this lens. thanks. i used my hubpages blog to sign up for amazon. Recently I'd been focusing on more expensive items for sale. Thanks for the reminder that volume is needed too so that I can get the higher percentage referral rate. @Sky Breeze: I believe that you can use your Squidoo lensmaster profile to sign up. If not, you can sign up with a blog on blogger which is free. Thank you I will give it a go! Thank you for this great lens! I actually have a question. Can one be approved as an Amazon associate without a website or a blog? The application form on the Amazon Associates site seems to be very demanding. Could you please give some guidance? Very knowledgeable lens on the topic. Thanks a lot for this valuable information. I am very happy to say that I have just made my first sale on Squidoo with the Amazon module. Thank you for the useful information and I will go over it again. @jillian22: That is a bummer. Hopefully that issue will change over the next few years. Started and was just getting into it when Amazon pulled out of my state. Just now figuring all this out for myself. Thanks for the info. It has helped a lot. @Katie Hazel: Many beginners think that it takes a lot of work to make commissions from amazon but this is not the case. Simply take your time when creating sites or lenses. Find decent long-tail keywords and research the product to write the review. That's it! I am a real beginner and don't really know what I am doing yet with amazon. This article helped me! Thanks for the tips and info. "The best producing links are product links. You need to create referral pages, posts, or lenses for each item/product that you refer. The more expensive the item, the better your referral page needs to be, in order for people to trust your recommendations."